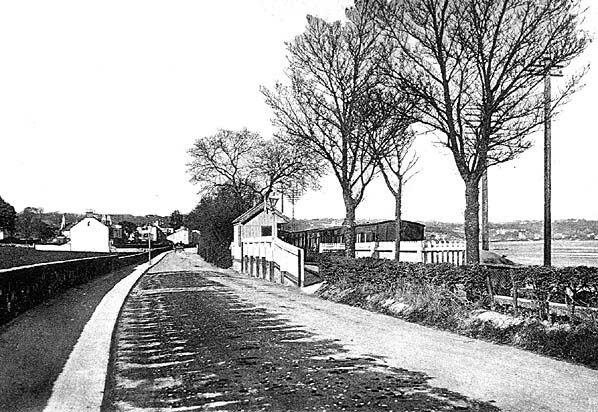 Notes: La Haule was the last of the intermediate stations on the St. Helier to St. Aubin line, the exact date of opening is unknown but it was by 1876. 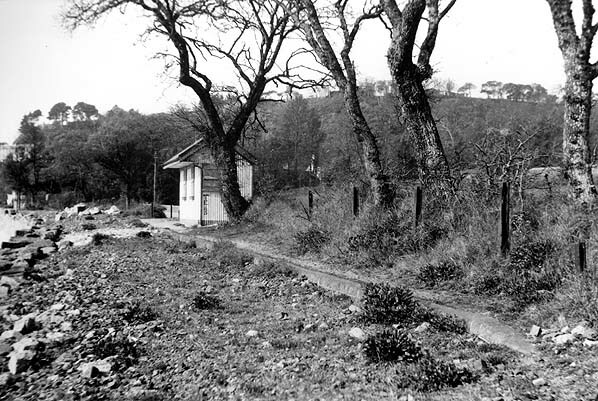 It was a less substantial stations that others on the line, its only building was a small corrugated iron shelter. Tickets weren't issued at the station until 30th September 1921. 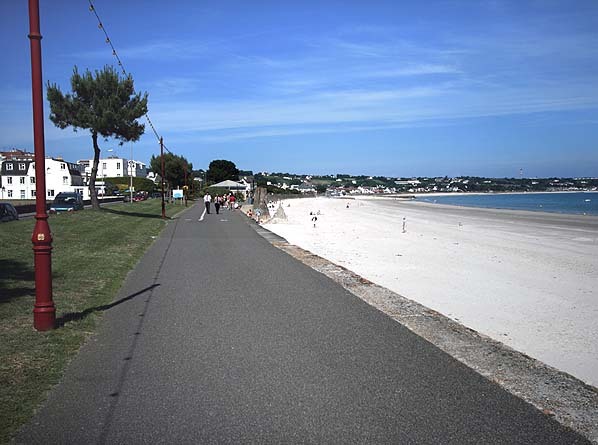 After closure the station remain derelict for many years but eventually the station building was used as a beach kiosk and survived in this role until 1966 when La Route de la Haule was widened. 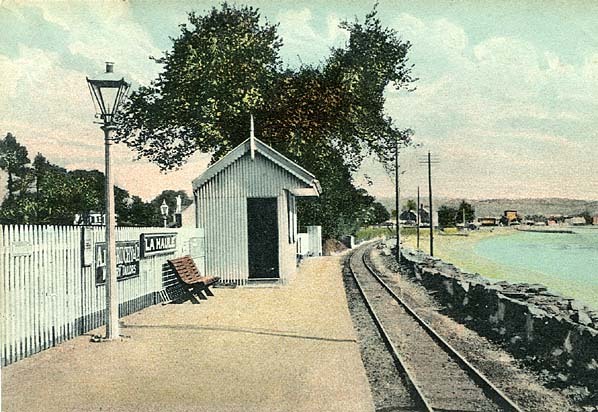 La Haule station looking north east c.1905. 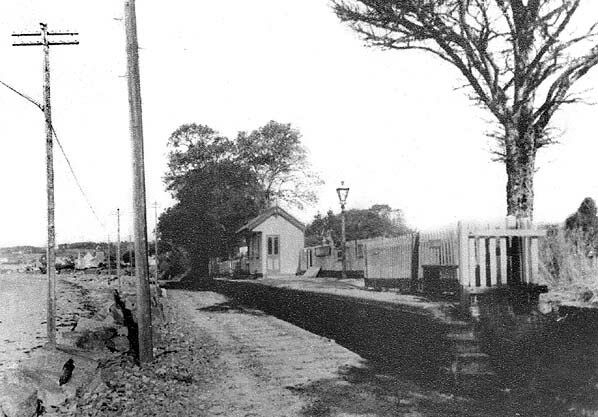 La Haule station looking south west towards St. Aubin c. late 1930s, shortly after the track was lifted. 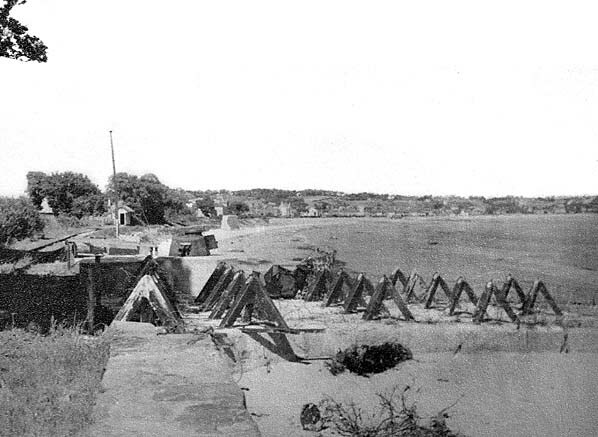 La Haule station can be seen in the middle distance on the left c.1945 just after the German occupation. The German metre gauge track can be seen. La Haule station looking south west towards St. Aubin in April 1949. The corrugated iron waiting room was later used as a beach kiosk and survived until 1966 when the road was widened. The site of La Haule station looking north east in June 2010.